With more than 60 years of sales experience between them, Judy Koubek and Wayne Turney give clients the peace of mind that is only available when working with genuine real estate professionals. Each draws upon their intuition, skill set and advanced marketing techniques to provide a stellar experience for buyers and sellers alike. Since beginning her real estate career in 2013, Judy has wowed her clients with an elite level of service and passion to help them achieve their real estate goals. Prior to breaking into the industry, Judy was an owner/broker of an insurance agency for 37 years. This experience sharpened her client service skills and her understanding of what it takes to keep a client satisfied throughout the sales process. Real estate has always been a passion of Judy’s - a passion she is thrilled to pursue by helping others fulfill their dreams. Respected for his highly effective and results-oriented work ethic, Wayne Turney is a sales professional with nearly three decades of experience in both management and direct sales. Wayne recently retired from his position as a communications leader at AT&T in Dallas, Texas, after a successful 25-year career that spanned multiple business channels. He developed strong interpersonal skills along with the important ability to build and maintain mutually beneficial partnerships. 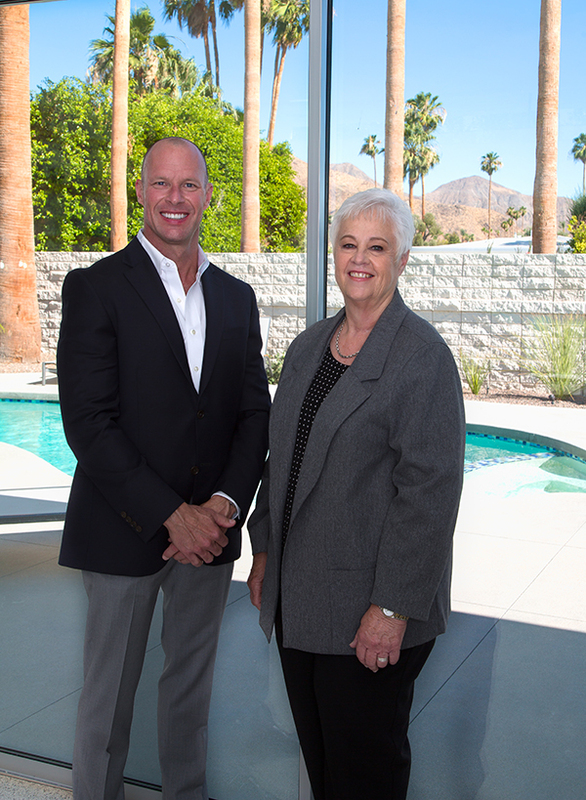 Today, after moving to Palm Springs in 2017, Wayne is following his passion of building a second career in real estate. From attached vacation homes and classic Mid-Century Modern residences to palatial gated estates, Judy and Wayne have the know-how, skills and inherent talent to match buyers with a home that’s ideal for their lifestyle. Sellers can rest assured that their property will provide the best return on investment in the least amount of time possible. Call today and learn how this dynamic team can make your real estate dreams come to life.